I’ll let you in on a little secret, this isn’t Nancy writing the email this week! Instead, it’s me, Jillian. I work on the retail team and somehow I’m getting away with usurping the entire email. I get to talk about whatever I want and put anything I want on sale [insert mischievous cackling here]. 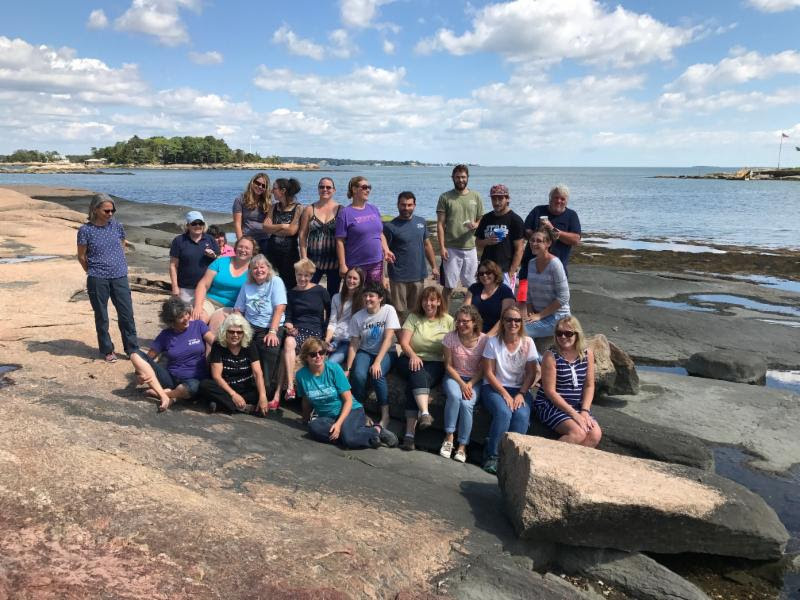 As we say, while Nancy is away, the Natureworkers will play! I actually want to take a minute to talk about those silly Natureworkers, while I have the perfect opportunity. I want to recognize our largely lady-staffed small business where all of the women know how to use power tools, prune unruly thorny bushes and design gorgeous gardens. We all consistently blow the minds of any truck driver delivering plants as we spout off botanical names while carrying 6 plants at a time. And the men on one of our landscape crews, they’re genuinely kind and generous and they’re great sports. I had to take this chance to recognize how talented and hard-working every Natureworker is. How lucky is that? So, should I go ahead and tell you the theme of this week’s email? At first it may not make sense, considering we’re in Connecticut and all, but I have to tell you, I’m going to talk just a bit about…Florida! As some of you may know, I’m a native Floridian. This week I watched constant news of the city I grew up in being the center of some big bad hurricane’s attention. I spoke with my family at 6 a.m. after the worst of it, and they may be without power, but they’re doing just fine. And while I had hurricanes on my mind, I also had this newsletter clanging around in my brain asking for attention, so I decided to share the focus. How could a hurricane and my experience in Florida inform what’s going on at Natureworks? I realized that plants give us a sense of place. When we visit gardens in cities away from home, we learn new things, experience new beauty and get a sense for what can thrive given the environmental conditions. 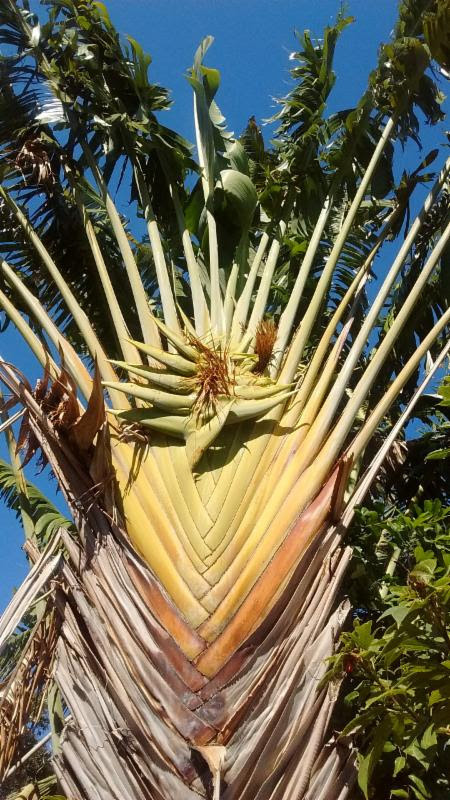 Of course that means when we’re home, we feel connected to our plants who tell us about the season and the insects and the crops we’ll get to eat. Plants make us feel home. I reorganized our greenhouse this week which is filled with stunning succulents and the most flawless aloe, which obviously grows like a weed in Florida. 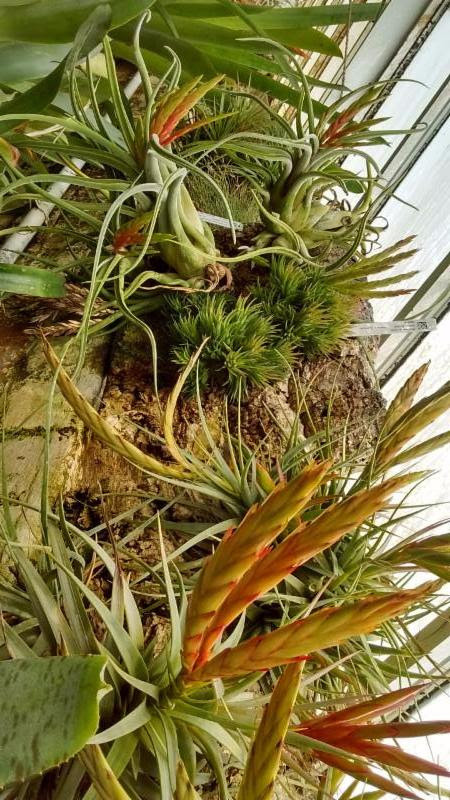 I figured I’d share that one of my first paid gardening gigs involved removing bromeliads from an eccentric cactus grower on my block (I mentioned his penchant for gardening in a leopard print speedo in my Natureworks application), and volunteering at Leu Gardens in Orlando. Being in the greenhouse with frilly ferns and diverse succulents, I felt right at home. We’ll dig into why these succulents are special below. 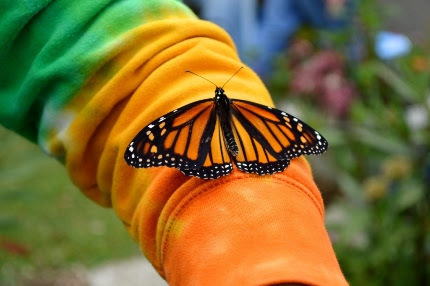 Of course I can’t lock myself in the greenhouse and click my ruby red heels three times, so instead I find joy during our regular Monarch butterfly tagging workshops where I watch people of all ages squeal with delight. I’m always learning more about organic lawns and bulbs in the landscape which has taken me a few years to get used to, but wow do our educational tools make it all come together. It’s really fun to watch families transition to all organic practices, especially in the largest part of their yards: the lawn. I love that our grass seed is local and that I get to help people slowly edge away from using chemicals. It’s especially fun to show how microscopic wiggling nematodes who live in a sponge will help save their lawn from grubs. Sounds like an obscure comic book reference, but they’re the real deal. 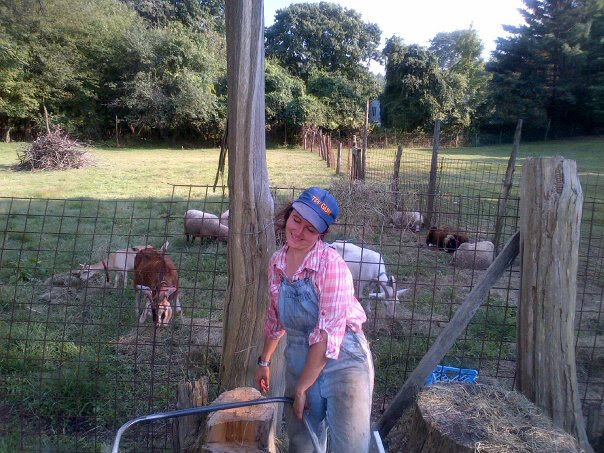 Before working for Natureworks, I was a full-time farmer/educator on different farms across the United States. I spent some days showing teenagers how to harvest beets,other times, I was tending just about every farm animal you can think of. I’ve had tillers land on my leg, lost an acre of row covers in a windstorm, been bucked by a billy goat, ripped the inner leg of my overalls in the middle of a pepper field and eaten tomato “seconds” for years. I still love farming, but coming to Natureworks and being surrounded by our cool selection of annuals and perennials has given me new appreciation and insight into the plant world. I’m not just about growing broccoli anymore! That said, I send out regular veggie emails with tips and tricks. Soon I’ll be getting into cover crops, growing great garlic, row covers and more. If you’re already reading the email, it’s easy to add veggie news, Click Here to jump down, then click Update Preferences. I know that for many people, Natureworks is a sanctuary. I mean, come on, our unofficial mascot is a troubled butterfly. Our shop used to be someone’s family home. Our demonstration gardens tell a story with plants that have stood the test of time. Natureworks is truly a diamond nestled on Route 22. I know NPR is coming by to see what our gem is all about this week, I hope you will too. 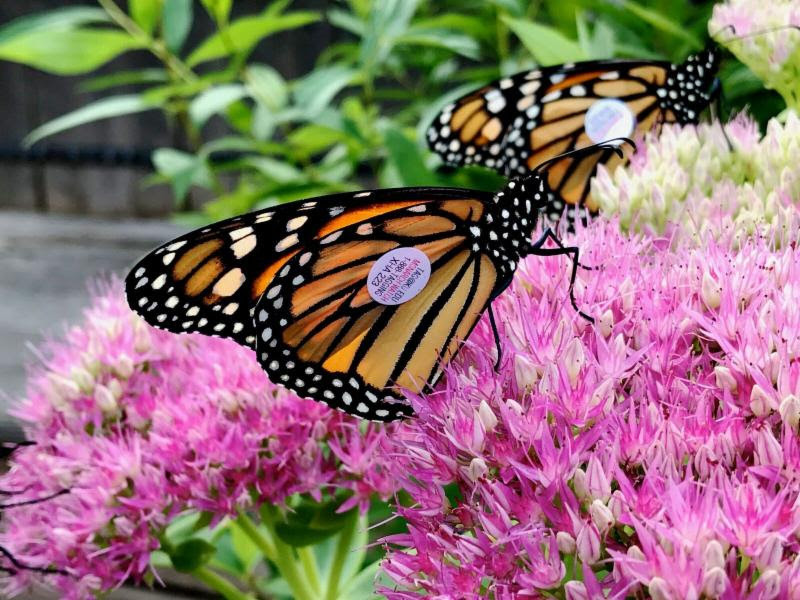 Learn all about how to properly tag monarch wings and see how they’re tracked! 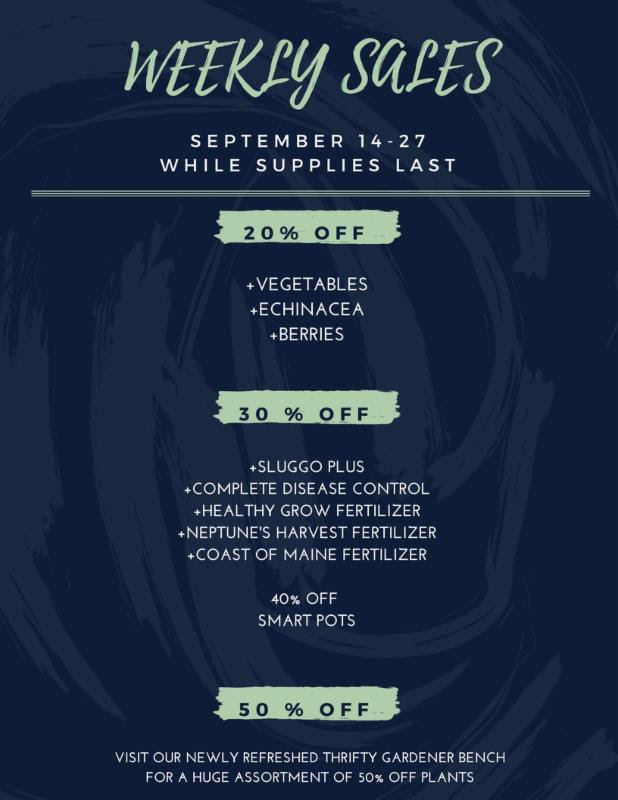 We’ve decided to put Sluggo Plus and Complete Disease Control on sale because they’re still useful this time of year. Because Sluggo Plus contains both iron phosphate and spinosad, it targets a wider range of pests. It will help target pests that are bothersome in fall, such as earwigs, slugs, snails and more. Complete Disease Control is one of the best broad-spectrum treatment and preventative organic sprays around. It can be used until day of harvest on your veggies (doesn’t get more organic than that) and is even useful for any houseplants, which always benefit from a preventative treatment before coming indoors for the winter. 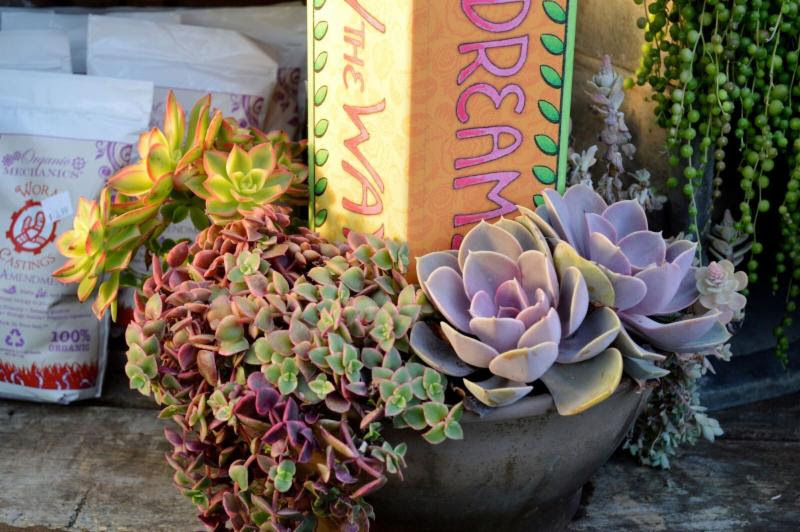 If succulents could have personalities, they would have the best of every type. They’d be forgiving and understanding (they let you forget to water), they would be rugged and tough (they can grow in the weakest of soils), and they would be artistic (their bold colors and easy-care make them perfect for creative projects). 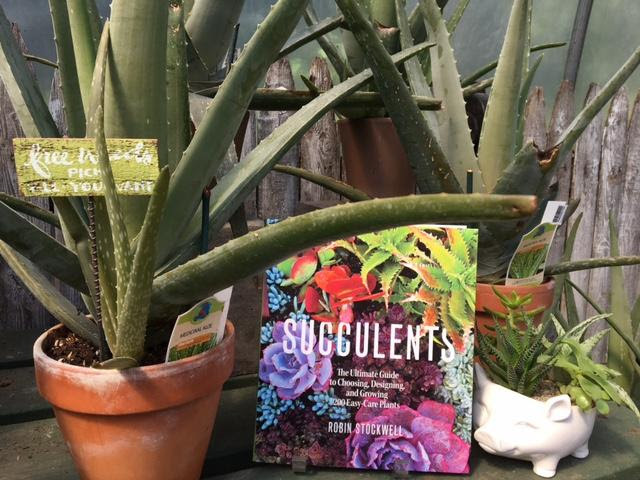 Did you catch our recent video with Jeff Woodward who grew many of these succulents and lent us some insight into growing them? 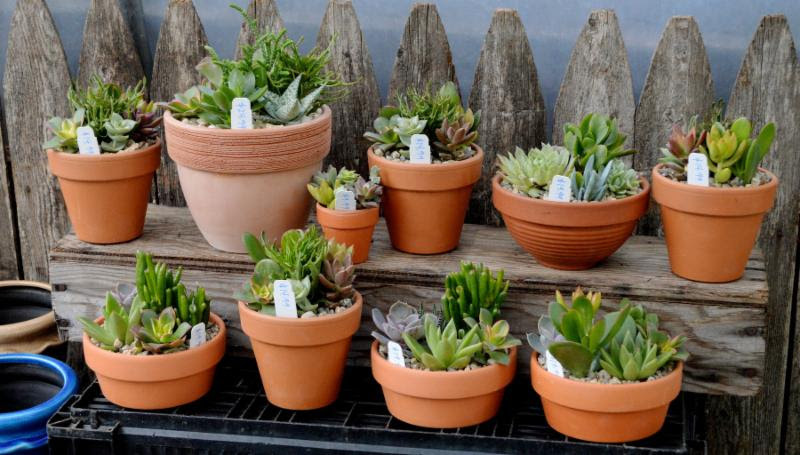 Succulents have become all the rage because you don’t have to be a gardener to care for them. They’re also so adaptable, they’ll let you glue and wire them onto a variety of surfaces without any fuss. Check out our ultimate guide for succulents by Robin Stockwell for fun succulent projects and everything you need to know about them, or simply stop in and pick up an already created planter, which has become a favorite choice for gifts (wait until you see what we have in mind for our holiday succulent arrangements this year). We also have succulent sod, which you can use to create entire blocks of succulents in your garden, or use to attach to a living wall. Of course I wanted to mention aloe, which is used topically for sunburns, looks amazing in a pot and it’s the gift that keeps on giving, as it regularly sends out new pups. 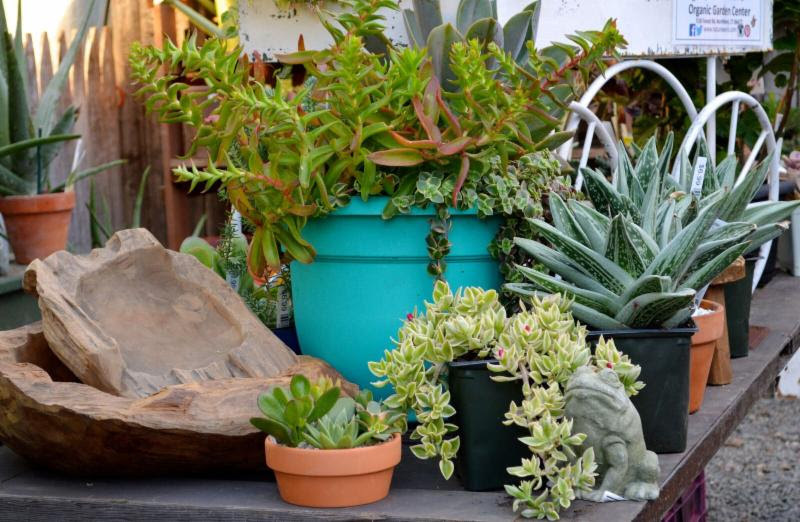 The succulents we provide were skillfully grown and provide a selection of color and texture you just can’t find anywhere else. 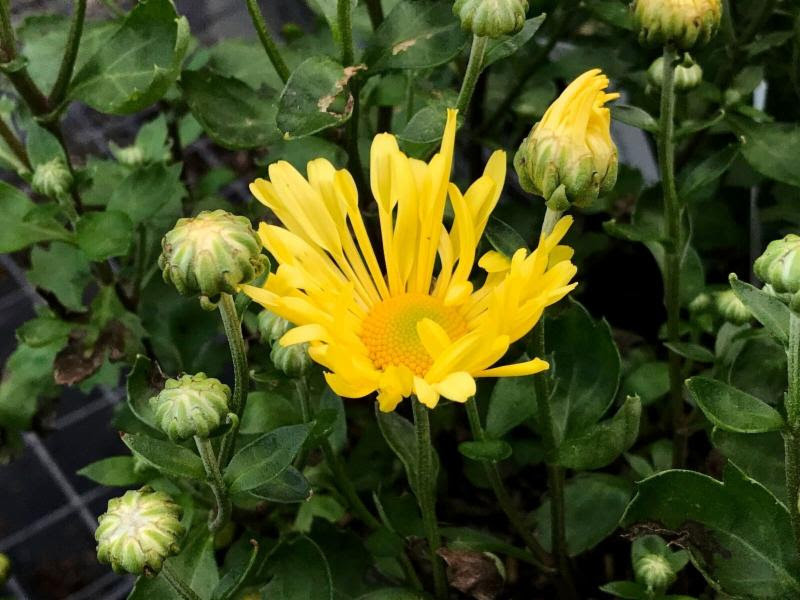 Get creative and try some out, we have perennial types and indoor varieties for all your project needs. Last Saturday we had an excellent container makeover workshop, where everyone dove in and started hacking away at our old planters with hori hori knives. I was so impressed with everyone’s knack for color combinations and textures. Maybe they were inspired by Melissa’s recent facebook live video. Impressive, indeed! We have a huge selection of pansies ready to be planted! Join us online on Facebook where you can ask questions live! Facebook Live videos are archived on our Facebook page and can be watched at any time. We also welcome you to sit in the audience at Natureworks and watch LIVE and in-person. Visit us at the Wallingford Garden Market at Doolittle Park! Details below. 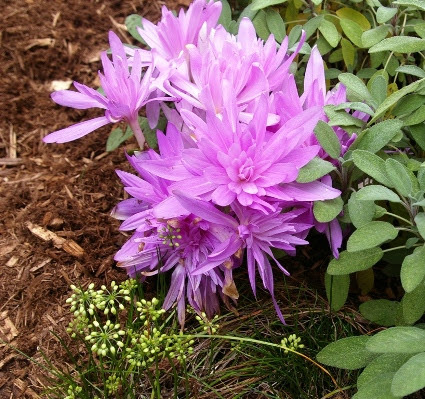 We are always sold out of Colchicums by the time customers see them blooming in our gardens. Learn all about how easy they are to grow and catch them early this year! Join us for two mini-classes on fun fall topics. 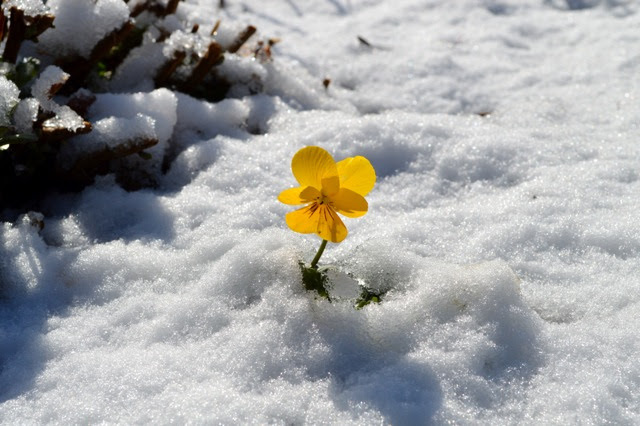 At 10 am, learn all about Colchicums, the fall blooming bulbs that have a very unusual life cycle. 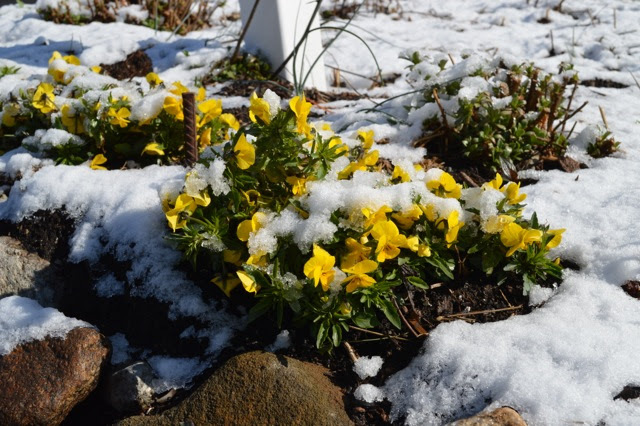 They are totally hardy, completely vole proof, and really fun to grow. At 10:30, learn how you can grow all kinds of microgreens outdoors in the fall and indoors all winter long. They are supercharged with nutrients and produce edible greens within a few weeks. So easy, so delicious! Visit us at the Durham Fair where we’ll be for four days (Sept. 21-24) teaching about butterflies. We’ll have an educational booth in the discovery center, where Nancy will also be giving a talk about planting for monarchs at 1 o’clock on Saturday. 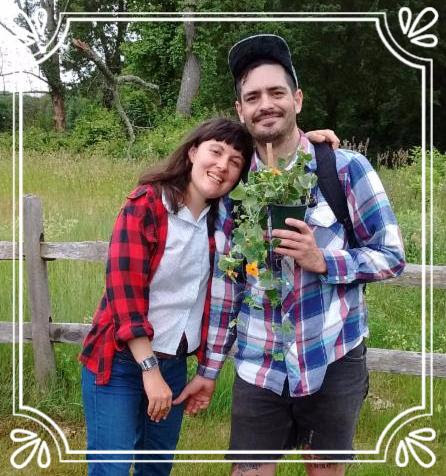 What better way to spend a weekend than learning about Connecticut agriculture, saving butterflies and seeing Pat Benatar perform?! When the weather cools off, it’s time for “plants on wheels!” Join Nancy as she explains how to analyze your current gardens and decide on ways to improve them through rearranging and division in October. She will then teach you the process of how to go about this work in an organized fashion over the next four weeks. Don’t miss this FREE design workshop!